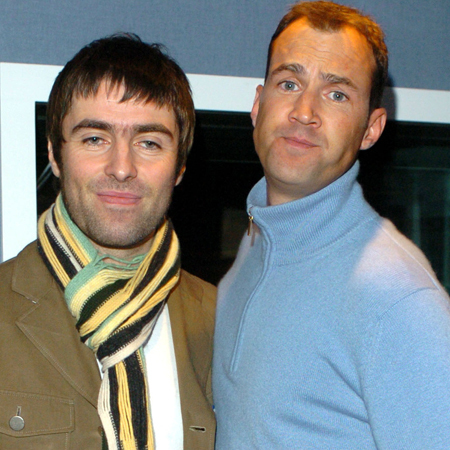 Radio X's Johnny Vaughan will be meeting with Liam and Bonehead in aid of Global's Make Some Noise charity. This week, we announced that Radio X's Johnny Vaughan would be in conversation with Liam Gallagher and Paul "Bonehead" Arthurs in aid of Global's Make Some Noise. Better still, we gave you the chance to be one of the 200 people in the intimate audience at the event, which takes place at Manchester City's Etihad Stadium On Sunday 16 October. Naturally, you bought tickets in your droves, causing them to sell out within mere minutes, and doing your bit for charity in the process. With the day almost upon us, all that's left to ponder is what a night with the most outspoken man in rock will look like. Liam Gallagher is the king of the one-liner and he isn't afraid to say what he thinks about anything or anyone. Needless to say we're expecting brutal honesty and a LOT of laughs. Liam Gallagher and Johnny Vaughan have got previous, which means the Oasis frontman has been interviewed by our Radio X DJ before. Will either of them remember what was said back then, or is it all just a Blur? With the Mat Whitecross-directed film set for release on 2 October, we'll no doubt have all the best bits still fresh in our minds. If we're lucky, the Some Might Say rockers will give us even more insight into the making of the documentary, and confirm whether or not it nearly didn't get made. Liam's been absolutely laying into his estranged sibling and former bandmate, calling him everything from a potato to the "Ronnie Corbett of Rock N Roll". This week alone has seen the pot being stirred when it comes to rumours of an Oasis reunion. Betway bookmakers have tipped the band to announce a comeback in 2017, giving us 5/4 odds on the outcome. Plus, according to reports, Bonehead has said he'd be there "like a shot" if he got the call. Doubtful, but either way, he'll definitely have something to say about it. In short. We can't bloody wait. Global’s Make Some Noise supports youngsters living with illness, disability or lack of opportunity. On 7 October the third annual appeal day will see all Global’s stations come together and support Global’s Make Some Noise with a very special day celebrating the projects it supports with guests, presenter challenges and money can’t buy prizes.